If you decide to get more powerful weapons of the world of Minecraft PE, then you should install a mod Jimbo’s Modern Weapons. 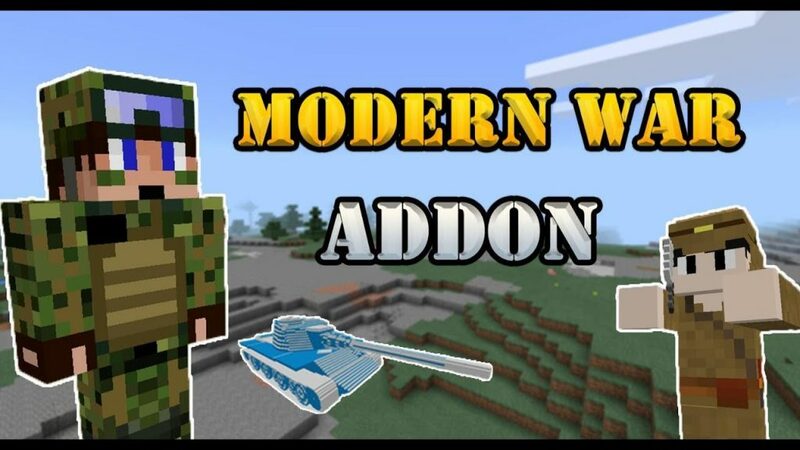 It can easily upgrade the low-tech tools of the MCPE world. And you will receive modern high-quality weapons. With a new weapon, you can destroy anything that threatens your survival. So, if you can no longer fight for survival, then you definitely should try this addition for Minecraft Pocket Edition! Shotgun (it is a substitute for a fishing rod): Actually this is not exactly a shotgun, since it can shoot only one enemy. But it has textures that resemble this weapon. Attack damage: 50 units. 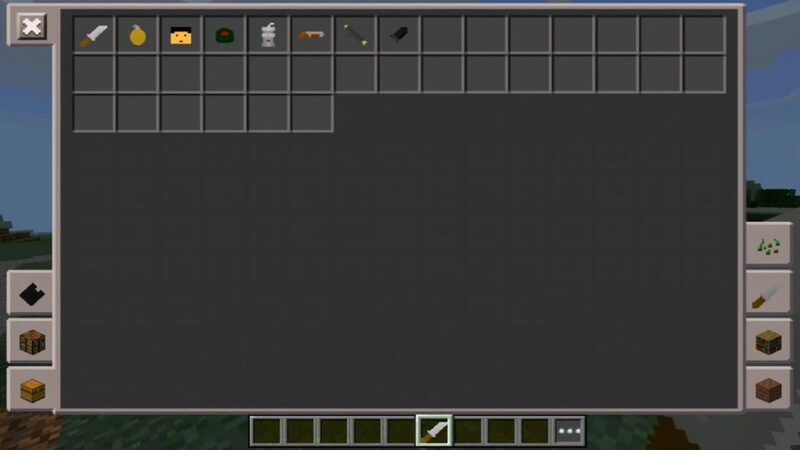 RPG (is a replacement for the bow): this weapon has a special power that you can see with your own eyes, attacking someone with an explosive shell (the projectile is a replacement for the arrow). At the moment, this is the most powerful weapon that causes an explosion in the world of Minecraft PE. Fire grenade (is a replacement for snowballs): this type of grenade is very suitable for a group of mobs. Imagine if you are chasing a whole crowd of zombies, just throw a fire grenade at them and watch them burn! Grenade (is the replacement of the egg): an ordinary grenade causes an explosion and destroys the blocks in a certain radius. Soldiers (they are a substitute for skeletons): they are dressed in a soldier’s uniform and wander around the world with a shotgun in the hands. If you run into them, then most likely they will start attacking you! However, if you have an RPG with you, try to tame the soldier with this weapon, and then maybe he will work for you! Landmine (is a replacement for a creeper): A land mine is an explosive that will explode if the player is within 1.5 blocks of it. The mine will explode only if the player is in survival mode. The turret is now a new model, the image below is not updated. Tank (is a replacement for the skeleton-desiccant): You can spawn one of them in the ordinary world, using the spawn egg. Before you can drive it, you will need to refuel it with coal. Coal works like fuel and will be used for 3 minutes before you need to refill it. If you are sitting on a tank, you can hold the key in your hand to control the direction of its movement. Mech Mob (cadavr): To ride a new mob, you first need to fill it with coal. After that, the Ride button immediately appears, and you can click on it. Fuel is enough for 3 minutes, after which you will again need refueling. While holding the binoculars in your hands, you need to sneak to activate the zoom function. You can not walk or move while the binocular zoom is active.